Story: The story follows a boy named Thomas who wakes up in a strange place called the Glade with no memory aside from his first name. The Glade is an enclosed structure populated by other boys, and is surrounded by tall, stone walls that protect them from monsters called Grievers that live in the Maze, which s urrounds the walls around the Glade. Every day, some of the kids who are Runners venture into the labyrinth trying to map the ever-changing pattern of walls in an attempt to find an exit. As soon as Thomas arrives, unusual things begin to happen and the others grow suspicious of him. 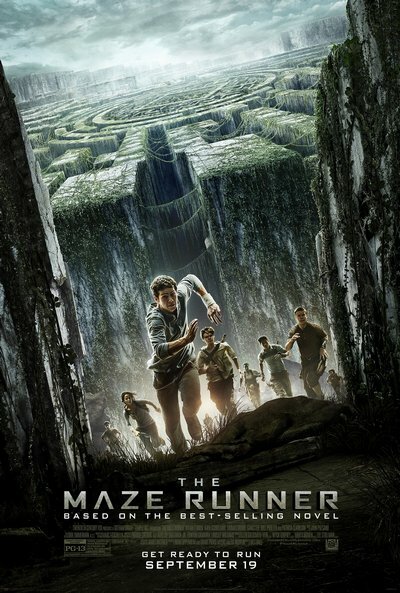 The Maze seems familiar to Thomas, but he's unable to make sense of the place despite his extraordinary abilities as a Runner. When the first girl arrives in the Glade, she brings a message that she will be the last one to ever arrive in the Glade, as the end is near.